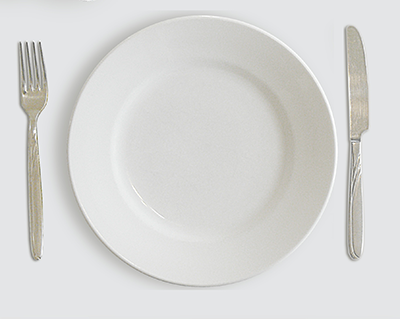 Fasting isn’t just for Yom Kippur anymore. While the 26-hour fast on the holiest day of the Jewish calendar—it begins the evening of September 29—addresses spiritual cleansing, scads of weight loss books and even workplace fasting clubs (try googling Silicon Valley and fasting) are appropriating food abstinence as a diet fad. ​The practice is referred to as Intermittent Fasting, though the approach may vary. There is alternate-day fasting, whole-day fasting and time-restricted fasting. Some extreme fasters even go multiple days without eating, relying only on water and other liquids, distinguishing the trend from halachic fasts that do not permit fluids (there are five other fast days on the Jewish calendar in addition to Yom Kippur). ​One of the most popular of these diets is the 5:2, which was developed in Britain before spreading to Europe and then the United States. The 5:2—featuring five days of regular, healthful eating followed by two fasting days—gained star status after it was featured in the documentary Eat Fast and Live Longer. ​And while the research to date isn’t as robust as some scientists would like—notably because studies have relied on mice as subjects—most agree that fasting can improve health. According to studies conducted by Mark Mattson, a professor of neuroscience at the Johns Hopkins School of Medicine, fasting several days a week could help prevent Alzheimer’s and Parkinson’s as well as improve mood and memory—and trim your waistline.